“Grandma’s Magic Box” will take young readers on an exciting trip like no other as the story goes from one wonderful and fascinating location to another. With her exciting tales of adventure, she wishes to spread happiness to every reader and spark each of their brave and adventurous souls as they grow up. Despite the long distance, Nadine G. Thomas still devotes her time by imparting exciting adventure stories with her grandchildren. Hoping to share her stories with countless other young and brave hearts all over the world, she publishes a delightful, intriguing and interesting collection of stories that are worth sharing. Through her thrilling tales, she also wishes to spread happiness to every reader and spark their brave and adventurous souls as they grow up. 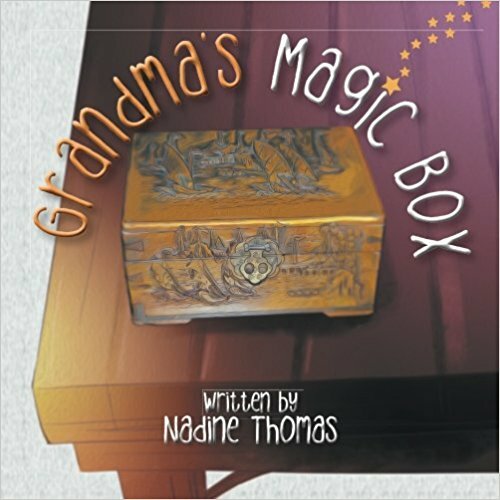 “Grandma’s Magic Box” begins the adventure when a young boy named Ryan receives a very special wooden box from his Grandma. Curious to see what’s inside, he tried to open it with all his might but it seemed like it won’t budge. Because of that, he loses a little bit of his excitement towards the mysterious gift and decided to just put it aside. Later that night, the box grows brightly and it magically opened up! To Ryan’s surprise, the magic box suddenly transports him to places he has never been to. As the box takes him to one destination after the other, he absorbs new knowledge about the place and also learns valuable lessons along the way. Through Ryan’s eyes, young readers will discover more about the world while having fun all throughout! Thomas wonderfully narrates young Ryan’s adventures that are intended to appeal to young readers ages four to eight. However, her exciting and educational book is definitely worth reading for anyone! Not only that, the author is about to embark on a new adventure as “Grandma’s Magic Box” is set to join the upcoming 2019 Bologna Children’s Book Fair in Italy. During the event, her book will be on display from April 1-4, 2019 together with many other children’s titles from different publishers all over the world. Born in Portland, Oregon on Feb.17, 1937, Nadine Thomas moved to California at age of 6 weeks. Being a Navy junior and a navy wife, she has lived in 37 cities. She attended four different high schools and four different colleges. She received her degree in chemistry and biology from the University of San Diego. Her favorite job was teaching biology. She presently lives in a house her husband built in Aiken which he named “Dunromin.” Her grandchildren live in Indianola, Washington.